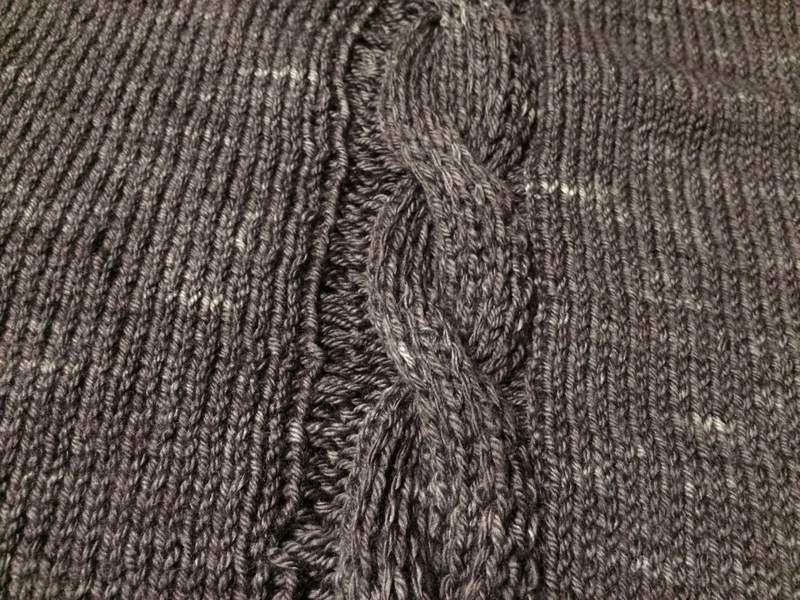 My French Toast pullover is nearly at the requisite 13″ at which I can start the hem ribbing. I’ll have to try it on before starting the ribbing, though, because it looks like this sweater tends to be short and I really don’t want a short sweater. Question time! Does anyone else have this issue I have when moving from stockinette to a cable panel which begins with a couple of purled stitches? 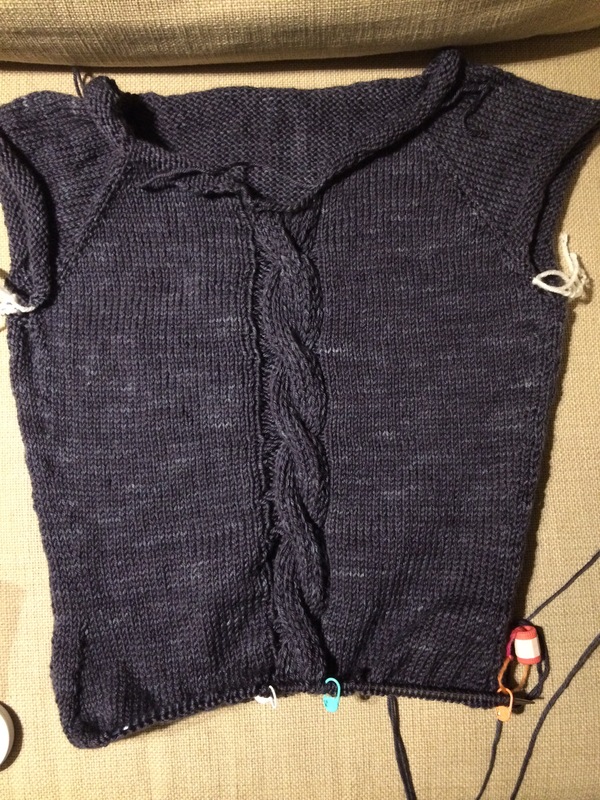 So when I move from stockinette to purling (then cable), I have giant ladders that form. From purl to knit no problem. I’ve tried ignoring it, tightening up the stitches involved, tightening up the previous/latter stitches, all with the same resulting uneven cable panel. If I were knitting flat, it would even out on the wrong side, but this is in the round so that’s not an option. Any ideas on how to fix or better yet, avoid this?